With modern architectures and campus designs, you do not need spanning tree anymore. But how could you protect from spanning tree BPDU’s and loops in the access area, e.g. from external devices? The classical scenario is the cleaner, putting the free cable into the switch because it is in his way. 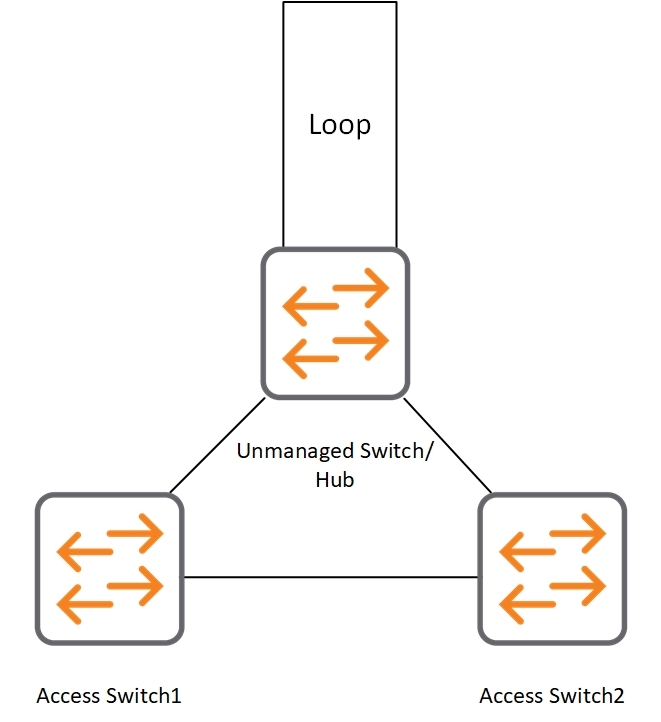 ArubaOS switches have some good answers to this and other scenarios and protect your network from unwanted loops and spanning tree BPDU’s. The first and easiest one is loop protection. This feature protects from unwanted loops in the access area, e.g. someone connects a cable twice to the same switch. Loop protection use control packets and send these packets out to all ports with loop protection enabled. To do this, the port must have an untagged VLAN. If no untagged VLAN is configured for the port, no control packets are sent. If the switch sees such a packet on another port, the loop is detected. The switch can now shut down the port to avoid network problems. send-disable          Disable the sending port when a loop is detected. This is the default. no-disable            Do not disable the sending port when a loop is detected. send-recv-dis         Disable the sending and receiving port when a loop is detected. 0 disables the port forever. Any other value disables the port for the time of the value in seconds. From the show command above, you see my default values. Those can be adjusted to your environment. This is the obvious one. Someone connects the same cable twice, to the same switch. This is more tricky. Let’s assume someone connects a switch or even a hub (not sure if you can even buy hubs today) to the access switch and produces a loop there. Loop protection can identify this and blocks the port as well. From the packet snipped above, you can see that the destination MAC address is a multicast address. Therefore the unmanaged switch/hub forwards the packet on all ports with the help of the loop, the packet comes back to the access switch. This scenario assumes, you have at least two access switches and they are connected to each other. A user connects an unmanaged switch/hub to both of the switches. Loop protection protects you in this scenario as well. Even if the loop on the unmanaged switch/hub is not present, the ports on the access switches are blocked. But only if both access switches have the same VLAN’s. If the unmanaged switch/hub is in VLAN 1 on “Access Switch1” and VLAN 100 on “Access Switch2” the loop is only detected if “Access Swtich2” knows VLAN 1 or “Access Switch1” knows VLAN 100. One of the VLAN’s, preferably both, are configured on the link between both access switches. The reason is, that loop protection works with normal multicast L2 frames. As opposed to BPDU’s, those frames are VLAN aware. BPDU’s are always untagged on the port (not true for PVST) and therefore the VLAN does not matter. In Case of different VLAN’s, you should consider BPDU protection. 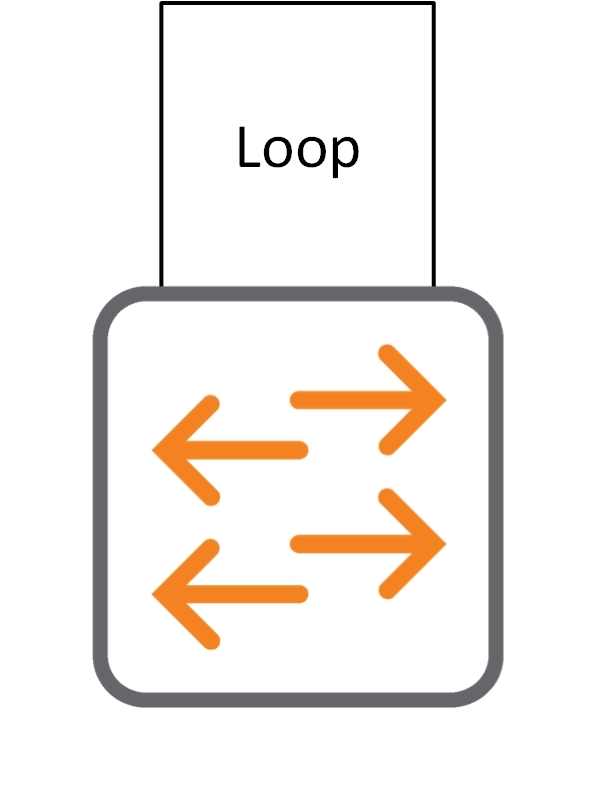 Loop protection helps to protect against loops. But what about misconfigured devices or intruders. Imagine, someone connects a device to the network which is running spanning tree as well. This device is configured to be the root bridge. If you did not have some kind of protection against such devices, they could bring you in trouble by confusing your spanning tree. This could be a denial of service attack to bring you down. But there is hope. With BPDU filtering you can do something. If you enable BPDU filtering on a port, this port drops all BPDU’s (incoming and outgoing). This means the port is not part of spanning tree at all. And if someone tries to attack you on this port, all BPDU’s are dropped as well. No chance for bad people. the port would cause a loop to form in the network topology. "no spanning tree PORT_LIST bpdu-filter"
"no spanning tree PORT_LIST pvst-filter"
Read the warning carefully, because this is important. A port with BPDU filtering enabled will always forward traffic and stays always in forwarding state. When not carefully thinking what you are doing, you can create loops easily. If you do a trace on the port, you will see no BPDU’s. If you send BPDU’s to the port, they are dropped without notice. As opposed to BPDU filtering, BPDU protection protects against incoming BPDU’s. If a BPDU is received, the port is disabled. This makes it a more secure option to protect against external misconfigured devices or bad people, trying to confuse your spanning tree. The command above set the timeout for the port. If the port receives a BPDU, the port is set to “BpduError” state for the time in the timeout. Afterwards, the port is set into the enable state again. My recommendation is to use BPDU filter on all ports to other switches. So, on all uplinks. And BPDU protection on all other ports. This protects you from bad BPDU from outside of your environment. I assume that you do not use STP in your environment for loop protection between switches, because of technologies like VSF or IRF. If you do not use such technologies but STP, do not use BPDU filter on uplinks. Do you use STP in your environment? Why, or why not? Tell me in the comment section below. Thanks, Marco for your feedback. Really appreciated.